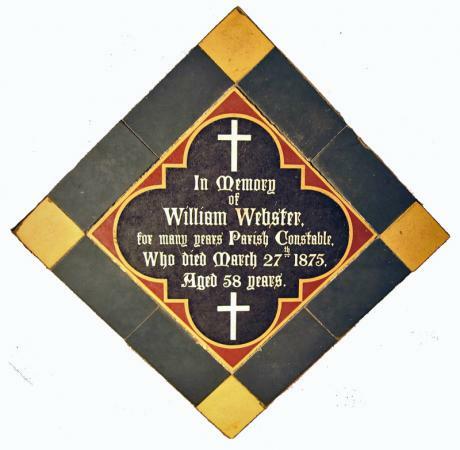 William was the son of the Mary Brown (Taylor) of a previous page, and the deceased William Webster. By profession the 1871 census lists him as a Harness Maker, and as the tile indicates, would have been called out when the services of a Constable were required. No stone remains in the churchyard to mark his grave.